At work, particularly in an office, negotiation is a feature of daily life. Managers negotiate with staff over holidays, time off and the distribution of work. Sales people negotiate with clients and business partners over contracts. But negotiation can give rise to problems. Many people who negotiate want things to go their own way. As a result, they negotiate forcefully. The other parties at such negotiations end up feeling as though they are losers. This type of forceful negotiation can upset clients and business partners. They may sever ties with someone who refuses to see their point of view. Aggressive negotiation adopted by a manager against staff can also backfire. The manager may win the day but staff feel bullied and resentful. Those who use win-win negotiation take a different approach. Its basis is the premise that everyone should come out of a negotiation feeling happy with the result. At the end of win-win negotiation, both parties believe they have achieved something. This sense of achievement fosters and maintains good relations between managers, staff and clients. Win-win negotiation requires all parties to have good listening skills. People must respect what everyone is saying and pay attention. When someone raises a problem during a negotiation, for example, no one should ignore it. All those present should face up to the problem and try to resolve it. This doesn’t mean that win-win negotiation should exclude attempts at persuasion. Without persuasion, a group may never reach a satisfactory end to a discussion. A reasonable attitude, however, must temper any efforts to persuade others of a point of view or course of action. A win-win negotiator must be willing to listen and to persuade in a fair-minded way. What do I want to come out of the negotiation? The answer to this must be honest and clear. What does the other party want? It may not be possible to know exactly what the answer is at this stage. But it’s useful to make an educated guess. What does the other party realistically hope to gain from the negotiation? The answer to this may have to rely on experience of other negotiations. But by working out what the other party will settle for, a win-win negotiator can prepare a satisfactory conclusion before the negotiations have begun. What trade-offs may have to take place to reach a satisfactory conclusion? Win-win negotiation is about compromise. A good negotiator works out in advance what he or she can concede. Will any compromises work? Compromises are all very well but they don’t always resolve the problem that lies behind the negotiation. A compromise must be effective. Does everyone at the negotiation table have the power to make any proposed solution work? If there’s any doubt about this, it may be wise to ask those who can enact any decisions to attend the negotiation. With such preparation, win-win negotiating becomes achievable. 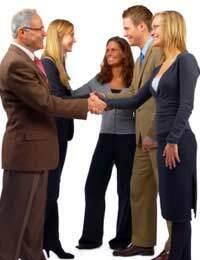 All parties can leave a negotiation table knowing they have reached a positive outcome.